WHY SHOULD I STUDY IN VALENCIAN? Learn and use the Valencian language, joint with Spanish and English makes us competent persons in the three more relevant languages of our social and economic environment. Be proficient in Valencian facilitates more work opportunities (both in public and private) here, at Illes Balears, Andorra and Catalonia. Our language has more than 10 milions of speakers in one of the economic axes more dynamics of Europe. It is used in 21 universities and it is taught in 162 universities from around the world. Study in Valencian helps us to integrate better in the sociaty we live and makes us be more prepared for the world of work. It is one of the most effective menas to achieve a higher linguistic competence, that is to say, to know how to use it, orally and written in any communicative situation. Moreover, Valencian provides to us the understanding and the learning of other European languages. HOW CAN I STUDY IN VALENCIAN? At Universitat de València, we recommend you to enrol in the subjects offered in Valencian in your Degree. Furthermore, during your studies you can apply for a DRAC grant or enjoy the SICUE programme to study a semester or a year in another university of the Xarxa Vives. WHAT INVOLVES TO ENROLL IN A SUBJECT IN VALENCIAN? The fact of register in a group in Valencian means that it will be imparted in this language (classes, internships, bibliography, the exams...). 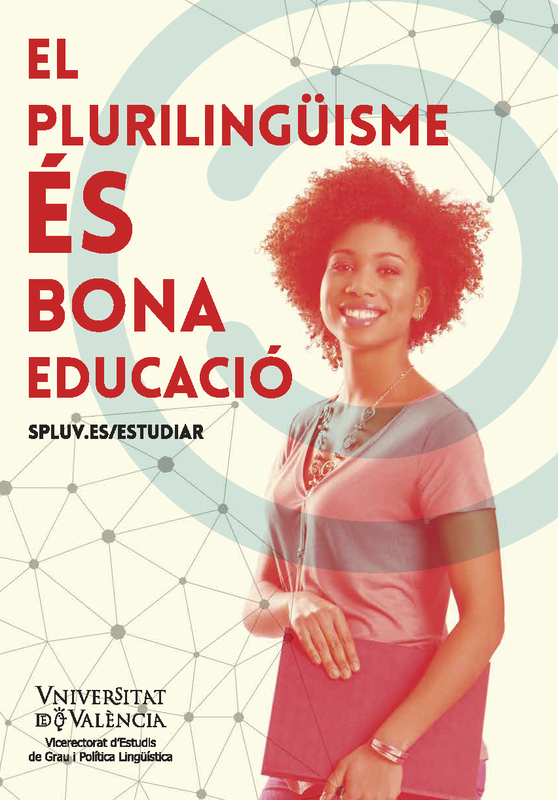 The professors of the Universitat de València can obtain a incentive for the development of teaching materials in Valencian and they can also ask the Language Policy Service the free correction or translation of those materials. IN WHICH LANGUAGE SHOULD I EXPRESS MYSELF? Regardless of the language of the classes, as a student you have the right to express yourself both orally and written (oral interventions, writing of works, exams, etc.) in any of the two official language of the UV. If you are enrolled in Valencian and you are learning the language, you can start using it at your pace in different activities. If you already use Valencian usually and you have a spanish subject you can do the activities in out language. DOES STUDYING IN VALENCIAN GIVE ME A LANGUAGE CERTIFICATE? Studying in Valencian makes easier to pass the Valencian tests of the Universitat or of the Valencian Government and the obtention of the official administrative certificates. If you aim to work as as professor, you can study in Valencian at least 80 credits of your Degree and with your C1 level accredited you will be able to achieve the Training Certificate for Teaching in Valencian. It also makes easier to obtain theDiploma for Teaching in Valencian. WHAT CAN I DO TO LEARN VALENCIAN OR TO IMPROVE IT? As well as studying in Valencian you can also use the services of the self-learning centre of languages (CAL) of the UV. You will learn Valencian (or English, German, French, Italian, Portuguese, Polonaise, Chinese or Spanish) at your pace and in the schedule you want, with self-correcting sheets, bibliofraphic and audiovisual material, computer programmes and personalised advise. Morever at the CAL you will find information about conversation groups in Valencian, English and in other languages. Everybody knows that people who speak two languages are more likely to learn a third one. When you are used to refer to things in different ways, it is natural to open yourself to the learning of new words, grammatical structures which for a monolingual may seem exotics, pronunciations that may be impossible to pronounce for people who are used to the limited repertory of a language. To understand and learn another language it is necessary to have a favourable attitude. The fact of knowing Valencian helps you to have this attitude. But the Valencian provides you a set of knowledges that will help you to learn other languages. If you speak and write in Valencian, you will have noticed that you understand easier the Italian, the French or even the English. In the field of the learning of language, this feature is called positive transfer: when we exploit what we know in a language to understand or learn another language. We also share with a lot of languages the distinction among b/v, voice and voiceless -s- (casa/caça), the g of ginebra, the x of peix (ang. fish, port. peixe, it. pesce), the opene and the o, etc. If we delve into grammar, we will verifay the how relevant are the unstressed pronoun hi and en to learn how to use the French equivalents y and en, or the Italians ci/vi and ne. 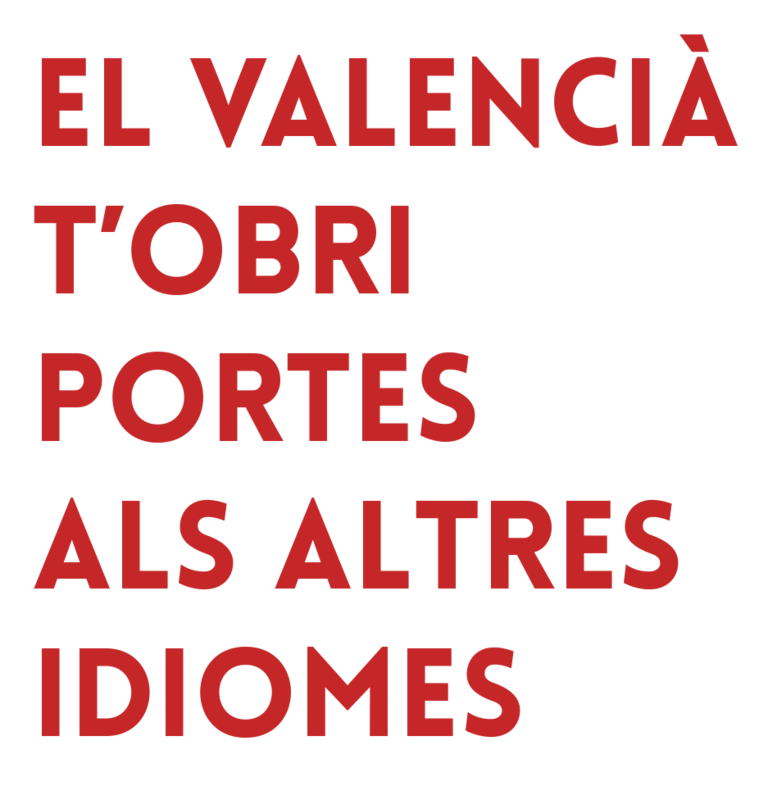 Thus, strenthening the Valencian or learning it if you still do not master it, you will also improve your ability to understand and learn other languages. The best way to achieve that is studying in Valencian in your Degreeand comlement it, if necessary with the self-learning resoruces, the courses and the conversation groups offer by the UV in Valencian and in other languages.